Not only is Pumpkinville a great place to stop at in the Fall but throughout the year they offer farm-fresh eggs and other products in their farm stand. Stop by mid September through Halloween to visit their Fall Village complete with all fall produce, an operating cider mill, a farm bakery and all the pumpkins you could ever want! 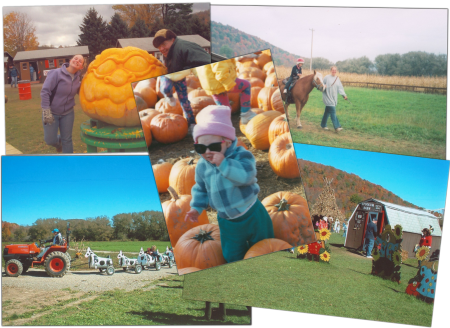 Open 9am to 7pm daily, Pumpkinville has been visited by tens of thousands of families each year and is one of the greatest Autumn and Agritourism sights in Western New York and Northern Pennsylvania. During the off season, you can still find the farm shop open everyday with farm fresh eggs, maple syrup, jams, jellies, and more! The Bakery offers delicious treats on weekends during the off season as well!